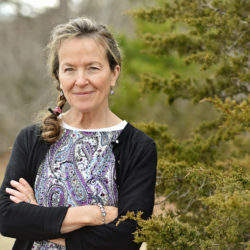 Robin Farnsworth is an award-winning author and speaker She and her husband Calvin live on Cape Cod, where they run Higher Ground, a Christian ministry for incarcerated men and women. On duty as an ER nurse in 2002, Farnsworth identified her son, Spencer, minutes after he was pronounced dead. He was the unintended target of a murder. So begins her memoir, The Greater Weight of Glory, an extraordinary journey that explores the power of faith and forgiveness with rare candor and courage. In 2016, WCVBTV Boston’s Chronicle interviewed Robin and one of the men in prison for her son’s murder, highlighting their “unlikely friendship.” It is a story you won’t forget.